2515 people have already bought Gift Vouchers! Barons Gift Vouchers can be used in any of our 7 pubs. Available in denominations of £10, £20 and £50. 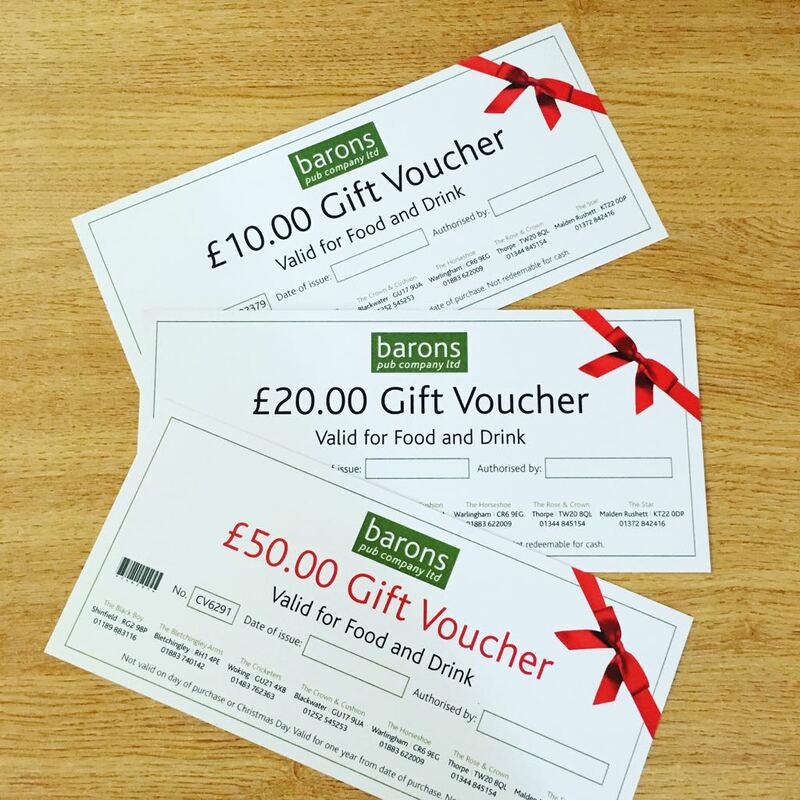 Once you have placed your order, we’ll pop your vouchers in the post within 2 working days.